AUSTIN ⎯ The Texas Workforce Commission (TWC) has awarded three individual grants: a $49,900 High Demand Job Training (HDJT) grant to Workforce Solutions Cameron in collaboration with Harlingen Economic Development Corporation; a $155,721 Skills Development Fund grant to Texas State Technical College – Harlingen in partnership with a manufacturing consortium; and a $116,412 Jobs and Education for Texans (JET) grant to Harlingen Consolidated Independent School District. These grants will benefit workers in the Workforce Solutions area of Cameron. 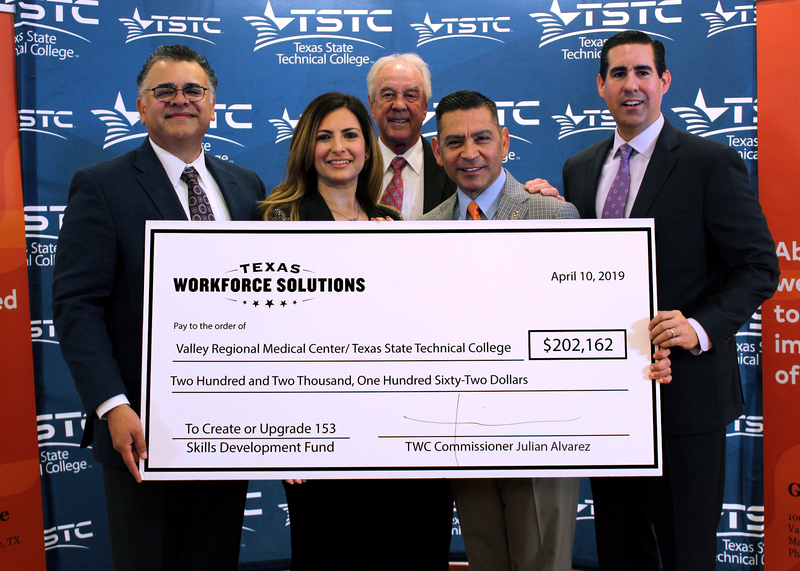 AUSTIN ⎯ Valley Regional Medical Center has partnered with Texas State Technical College (TSTC) to provide job training using a $202,162 Skills Development Fund grant from the Texas Workforce Commission (TWC). The grant will benefit workers in the Workforce Solutions Cameron area. 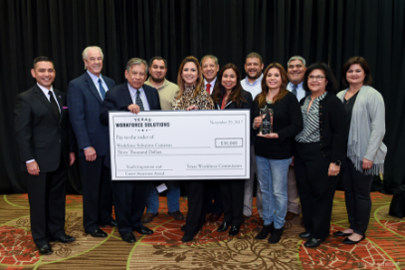 AUSTIN – Spectrum received the Employer Award of Excellence for the Workforce Solutions Cameron area at the Texas Workforce Commission’s (TWC) 22nd Annual Texas Workforce Conference held Nov. 28 – 30 in Houston. 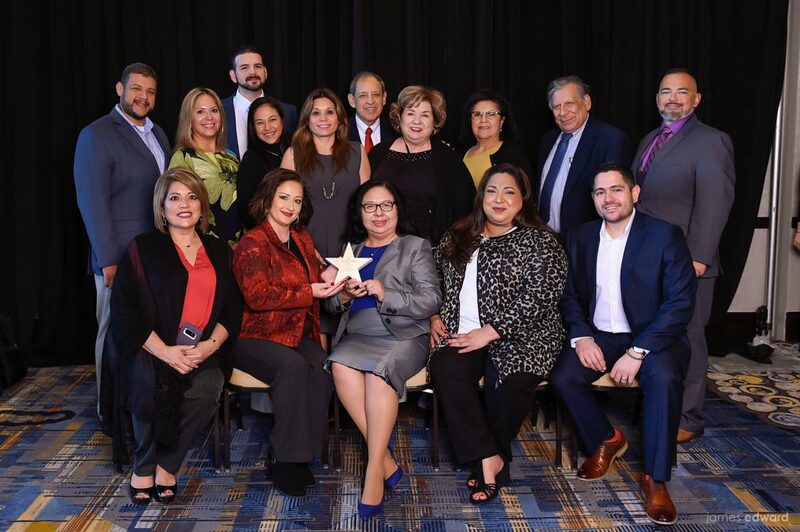 The award honors private sector employers that are actively involved with Texas Workforce Solutions and have made a positive impact on employers, workers and the community. In recognition of National Disability Employment Awareness Month (NDEAM) the Lower Rio Grande Valley District Office (SBA) in collaboration with the U.S. Internal Revenue Service (IRS), Texas Workforce Solutions and Workforce Solutions Cameron present the "Work Opportunity Tax Credit Seminar". Workforce Solutions Cameron today announced its participation in National Disability Employment Awareness Month, an annual awareness campaign that takes place each October. The purpose of National Disability Employment Awareness Month is to educate about disability employment issues and celebrate the many and varied contributions of America's workers with disabilities. The Governor of Texas, Greg Abbott, proclaimed October 2018 to be Careers in Construction Month. Each year, October is dedicated to increasing public awareness and appreciation of the construction industry. During this month, employers, trade associations and schools are encouraged to conduct job fairs, panel discussions and community events to inform students of the industry’s many employment opportunities. 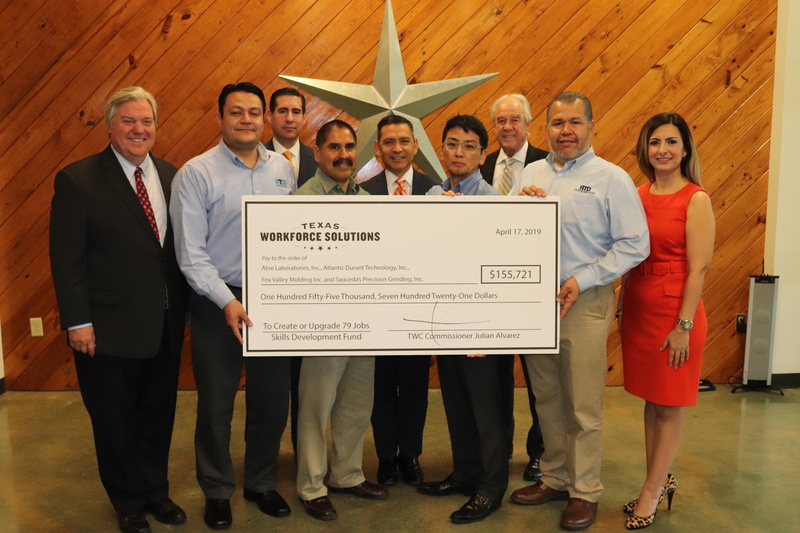 Cameron County Education Initiative Inc. and Workforce Solutions Cameron have partnered to establish a pre-apprenticeship construction program in Cameron County. 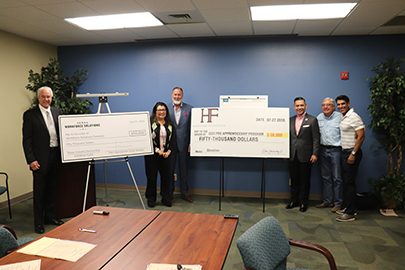 The program is part of the Texas Industry Partnership initiative and will help up to 25 eligible participants gain skills in use of basic hand and power tools, trades math and blueprints. Some participants also receive certification in first aid and forklift driving. This customized training is made possible using a $50,000 TIP grant from the Texas Workforce Commission (TWC). The grant will benefit workers in the Workforce Solutions Cameron area. AUSTIN –The new WorkInTexas.com website will have a user-friendly mobile design, offer modern communications capabilities, and increased access to jobs and workforce talent. The site will also enable Texas Workforce Solutions to significantly enhance service delivery, offering employers and job seekers another reason to connect with their local workforce development boards. 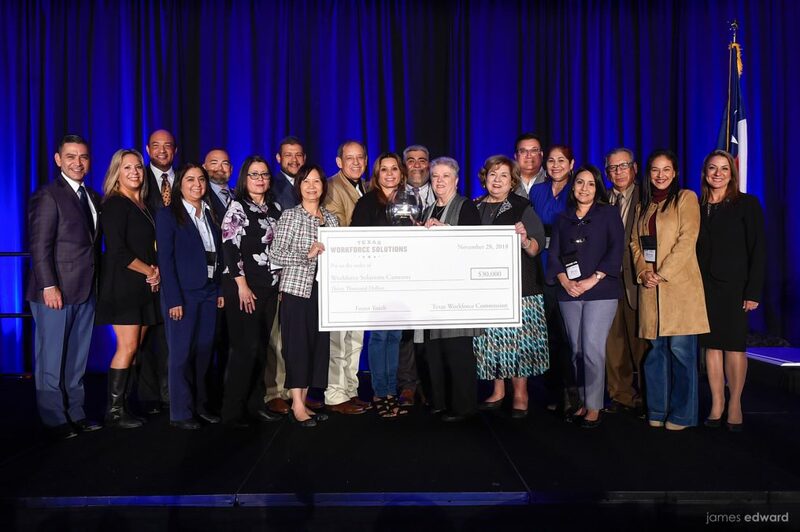 Texas Workforce Commission’s (TWC) core mission is to promote and support a workforce system that creates value and offers employers, individuals and communities the opportunity to achieve and sustain economic prosperity. Economic prosperity is directly tied to the ability of employers to recruit and retain qualified employees and for job seekers to easily search and apply for jobs. Jesús Peña had a very tough time looking for a job. No one would hire him. However, many people like Peña, who were convicted of a felony, eventually found a job. For those convicted of a felony it can be very challenging to get a job once they're out of jail. But some employers who hire them say they're actually their best employees. It ends up being a win-win for both the employee and the employer. Peña now works at a septic tank collection business in Brownsville. He says it's a dirty job, but the grimes of the job is way better than his past. 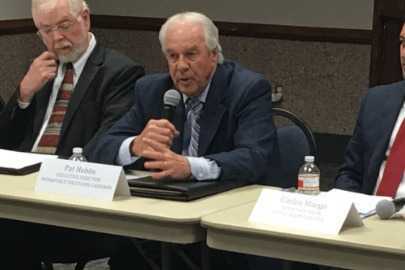 MCALLEN, RGV – An absorbing conversation took place at a Texas Workforce Commission Regional Stakeholders Meeting about whether too much emphasis has been placed on getting students to take four-year degree programs, rather than learn technical skills. As in the past, the catalyst for the discussion was Pat Hobbs, executive director of Workforce Solution Cameron. After listening to the remarks of local industry leaders and educators whose job it is to align courses with the needs of the workplace, Hobbs said he was where things appear to be headed. “I am sitting here really heartened by the fact the world has finally come full circle. 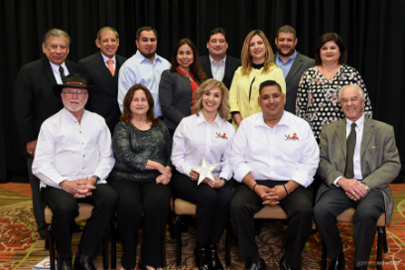 BROWNSVILLE, TX - It’s a $2.2 million investment expected to bring nearly $7.7 million annually as an economic impact for the Brownsville Region. This April, Greyhound begins retrofitting a facility at the Brownsville South Padre Island International Airport. The company expects 70 new jobs created in Brownsville with the announcement. The project has been in the works since 2016 between Greyhound Lines, Inc and the Greater Brownsville Incentives Corporation.Greyhound plans to open a refurbishing and final assembly operation in Brownsville. WESLACO, RGV – A tour of the Rio Grande Valley, stretching over three days, has just finished for five site selectors from Germany. 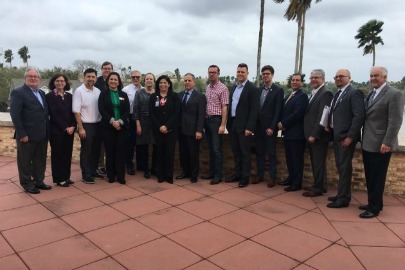 The selectors specialize in helping European manufacturing companies expand into North America and they were given their first tour of the Valley, comprising 21 different stops, by Rio South Texas Economic Council (RSTEC). As well as seeing what the Valley has to offer, the tour allowed the site selectors to build relationships with Valley leaders in the sectors of international trade, economic development and higher education. According to Stefan Aengenheyster, director of European Affairs for the European American Investment Council (EAIC), the site selectors were suitably impressed. AUSTIN – Vermillion Restaurant and Watering Hole (Vermillion) received the Employer Award of Excellence for the Workforce Solutions (WFS) Cameron area at the Texas Workforce Commission’s (TWC) 21st Annual Texas Workforce Conference held Nov. 29 – Dec. 1 in Dallas. 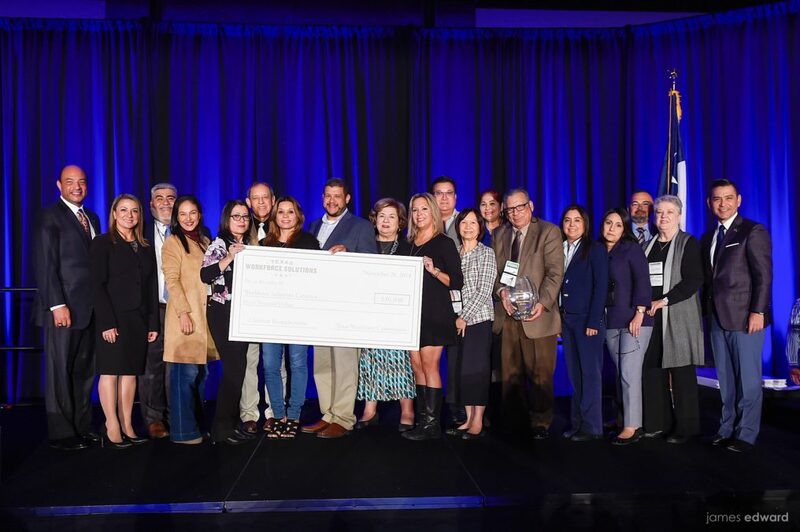 The award honors private sector employers that are actively involved with Texas Workforce Solutions and have made a positive impact on employers, workers and the community.